The Ministry of Labour’s mission is to advance safe, fair and harmonious workplace practices that are essential to the social and economic well-being of the people of Ontario. Through the Ministry’s key areas of occupational health and safety, employment rights and responsibilities, and labour relations, the ministry’s mandate is to set, communicate and enforce workplace standards while encouraging greater workplace self-reliance. The Ministry also develops, coordinates and implements strategies to prevent workplace injuries and illnesses and can set standards for health and safety training. The International Commission on Occupational Health (ICOH) is an international non-governmental professional society whose aims are to foster the scientific progress, knowledge and development of occupational health and safety in all its aspects. 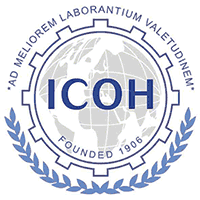 Today, ICOH is the world's leading international scientific society in the field of occupational health with a membership of 2,000 professionals from 93 countries. ICOH is recognized by the United Nations as a non-governmental organisation (NGO) and has close working relationships with the International Labour Organization (ILO), World Health Organization (WHO), United Nations Environment Programme (UNEP) and the International Social Security Association (ISSA). The Institute for Work & Health (IWH) is an independent, not-for-profit research organization based in Toronto, Canada. Its aim is to promote, protect and improve the safety and health of working people by conducting actionable research that is valued by policy-makers, employers, workers, clinicians and health & safety professionals. Its research is driven by two broad goals. The first is to protect healthy workers by studying the prevention of work-related injury and illness, and the second is to improve the health and recovery of injured workers. IWH has had a longstanding research focus on musculoskeletal disorders (MSDs) within both of these goals. The Provincial Building and Construction Trades Council of Ontario is an organization that represents 13 craft unions in the construction sector, totalling 150,000 workers throughout the province. Its mission is to give construction workers a collective voice in the workplace, to help ensure that workers are well-trained to meet industry needs, and to promote healthy and safe work conditions with decent wages, pensions and benefits. Part of its success stems from the effective partnerships it has established with its signatory contractors and owner-clients who work with the Council’s affiliates to achieve public and private infrastructure needs in seven bargaining sectors: industrial, commercial, and institutional (ICI); rlectrical power dystems (EPSCA); residential; heavy engineering; roads; sewers and water mains; and pipelines. The Councial also works with provincial government ministries and agencies to ensure that the construction industry is well-regulated, competitive, well-resourced and safe. The Institute of Musculoskeletal Health and Arthritis (IMHA) supports research to enhance active living, mobility and movement, and oral health; and addresses causes, prevention, screening, diagnosis, treatment, support systems and palliation for a wide range of conditions related to bones, joints, muscles, connective tissue, skin and teeth. 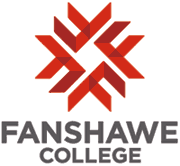 Fanshawe College is a comprehensive college serving the greater London, ON region by providing flexible learning arrangements and experiential education opportunities developed in response to labour market needs. Fanshawe offers more than 200 degree, diploma, certificate and apprenticeship programs to 43,000 students each year, helping people unlock their potential and achieve success in a variety of disciplines including applied arts, business, health care, human services, hospitality and technology. In Fall 2016, Fanshawe is introducing a full-time graduate program in Advanced Ergonomic Studies. This intensive program is delivered in two 15-week semesters and one 8-week placement. It provides the discipline-specific knowledge, skills and experience required for the Associate Ergonomist designation from the Canadian College for the Certification of Professional Ergonomists. The Institute for Work & Health (IWH), as the host of PREMUS 2016, is looking for quality sponsors with an interest in the prevention of musculoskeletal disorders. As a PREMUS 2016 sponsor, your organization has access to a local and international audience to promote your services or products. In addition, you will have the freedom to tailor your exposure. Primary sponsorship provides highest visibility with the most opportunities. Supporting sponsorship targets specific audiences among conference delegates. To enhance your presence at the conference, IWH will work with you to maximize your exposure through booths, displays and active promotions. The following sponsorship options are available. The Diamond Sponsor receives maximum visibility at the conference. The Diamond sponsor is recognized as the lead conference sponsor before, during and following the conference. Platinum, Gold and Silver Sponsors receive varying levels of visibility at the conference appropriate to their sponsorship. These sponsorships are an excellent opportunity to engage directly with delegates and be recognized within the PREMUS community. For organizations that research, educate and promote prevention of musculoskeletal disorders, these sponsorships allow highly visible recognition of their dedicated efforts. Lead Sponsors will be most prominent in conference advertising and visibility. Standard six-foot table, chairs, power strip and Internet access. Exhibitors are responsible for any additional AV equipment orders and materials not specifically listed. A full sponsorship package PDF can be downloaded here. Supporting Sponsors are offered à la carte opportunities to become actively involved in the PREMUS 2016 conference. These sponsorships are an excellent way to participate in global efforts to prevent musculoskeletal disorders. Sponsors have the opportunity to select audiences they would like to target, as well as the level of exposure that meets their needs. If an organization is sponsoring more than one session, a discount will be arranged for additional sessions.